There’s many companies out there that thrive on telling you that your feedback matters to them. Any time you make a call you are hit with a “your feedback is important to us”. Most people don’t actually pay attention to it. But others wonder if they actually mean that. Do they really implement changes based on people’s feedback? Feedback isn’t something that’s just automatically collected. You have to actually learn from it. In a previous blog post we talked about getting your business ready for the new year. This is one key strategy that you must implement if you don’t already have it in place! You want your clients to keep coming back to you right? Then you have to listen to their feedback. If they aren’t happy with a service, find out why. Then fix it. Make sure that service is of the highest standard. The greatest way to find out what your client needs is to simply ask them! Even the biggest companies listen to their clients. Especially if it is seriously affecting the way they use their product or service. Everyone has heard the term “constructive criticism”. Learning how to take criticism with stride is something that a lot of people don’t know how to do. You have to take emotions out of the equation. Calls can quickly turn into fighting matches and that is not productive for anyone. 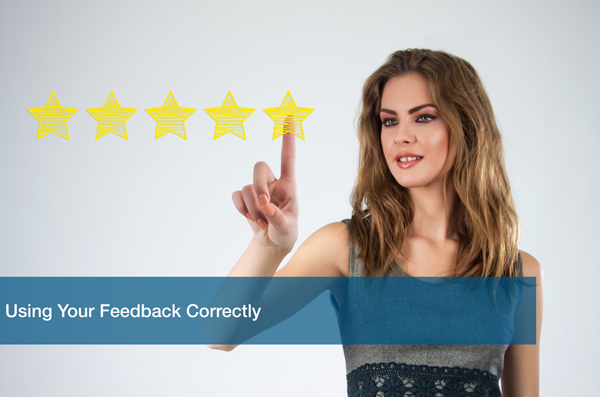 Make sure your employees know how to handle negative feedback from clients. They have to know how to respond accordingly. Like we mentioned above, see a need fill a need. We can preach to you all day to listen to your feedback, but actions speak louder than words. Clients want to see that you are listening and that you care about them. Check in on them once in a while to ensure everything is still in top shape. Make it a recurring email check-in. A simple “How are we doing?” goes a long way. It’s funny how many businesses try so hard to get new clients, and then immediately stop caring about them after that. You are building a business relationship with your clients. Some forget that simple fact. At ITC, our clients know that we are always striving to provide the highest standard of customer service. We want them to be with us for the long haul so we are always looking at new ways to improve. The first step is ensuring that your clients have somewhere they can submit feedback to. Is your website lacking on this? Schedule a Free IT Analysis with one of our experts and we’ll help ensure your website is always in top shape for your clients!